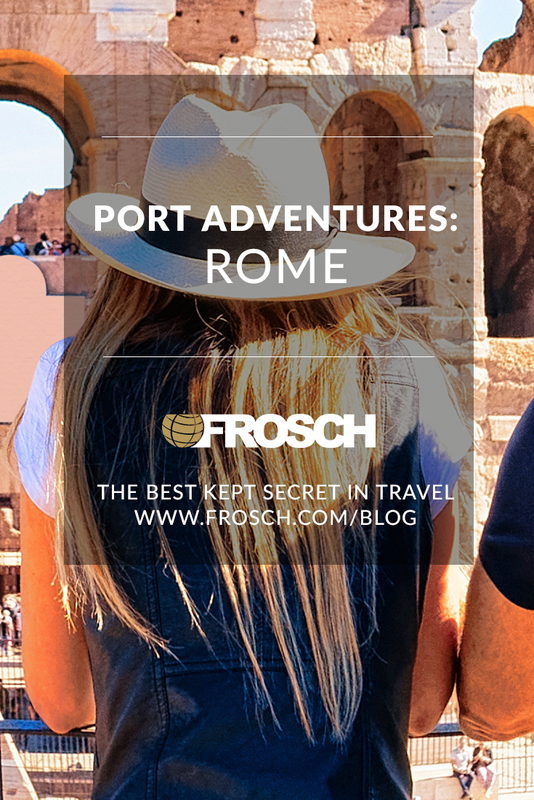 Visiting Rome is a highlight for many on a Mediterranean journey, and with a variety of ships sailing from Civitavecchia, roughly an hour from Rome, why not start there? Trying to see Rome in a day is hard enough, but next to impossible if you also need to meet your ship. 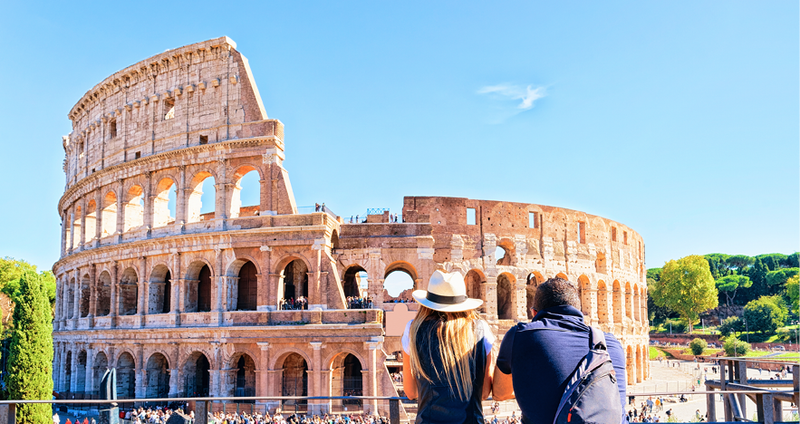 Start your trip off right by spending a few extra days in the iconic city of Rome. We have chosen some classic ideas great for first-timers. Catholic or not, Vatican City should be on everyone’s itinerary. Head of the Catholic Church, home to the Pope, and the smallest state in the world, Vatican City delights and amazes. Crane your neck to admire the magnificent, frescoed ceiling of the Sistine Chapel. Marvel at the Rafael Rooms and the famous sculptures Laocoon and the Apollo of Belvedere. Tour St. Peter’s Basilica, the heart of Catholicism. It goes without saying, tourists flock here so a private tour is well worth the splurge. Tip: A strict dress code is enforced in St. Peter’s Basilica. Shorts, sleeveless tops, skirts above the knee, and revealing clothing aren’t allowed. Inside the Colosseum, imagine gladiators fighting to their deaths as spectators watched these gruesome battles for entertainment. Appreciate the Arch of Constantine, walk through Palatine Hill, once the home of aristocrats and emperors, where you’ll find the magnificent remains of Imperial Palace. History comes alive with a visit to the Roman Forum, the epicenter of daily life for ancient Romans. Stroll the famous Piazza Navona with its remarkable baroque fountains before arriving at the Pantheon, which dates to the second century. Toss a coin in the Trevi Fountain, enjoy gelato by the Spanish Steps or stroll by neighborhood shops and eateries of Trastevere. 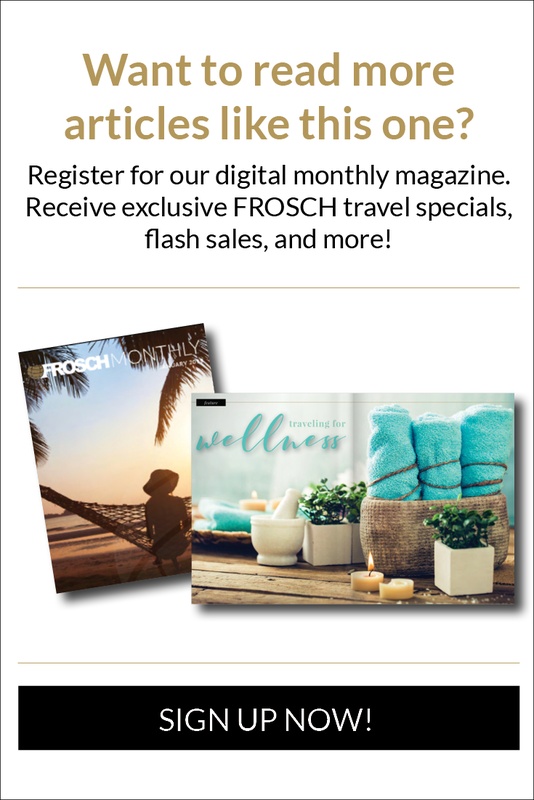 Options are vast and narrowing down your choices can prove difficult; however, your FROSCH Travel Advisor is happy to arrange and plan the perfect itinerary to elevate your stay in Rome!